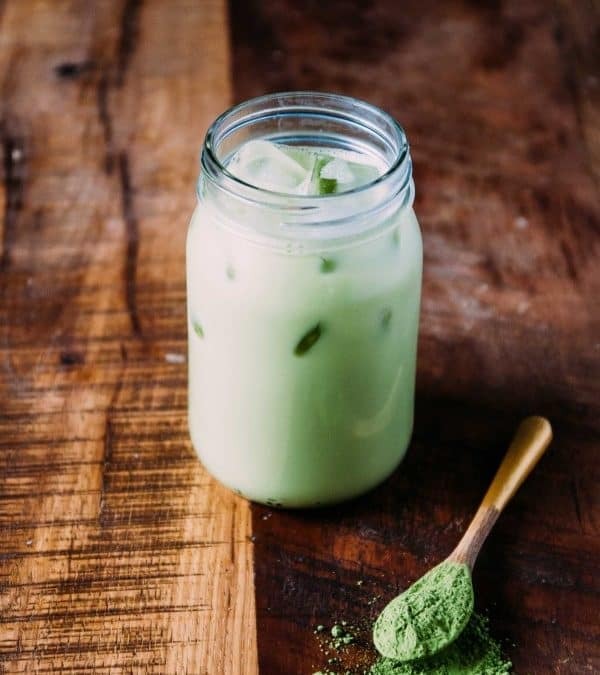 An easy and quick blender almond milk matcha latte, made in under 5 minutes and perfect for spring! Naturally sweetened with agave nectar. Back in action! Last week was kind of an unintentional blog break, between life, having too much fun during the previous weekend (i.e. 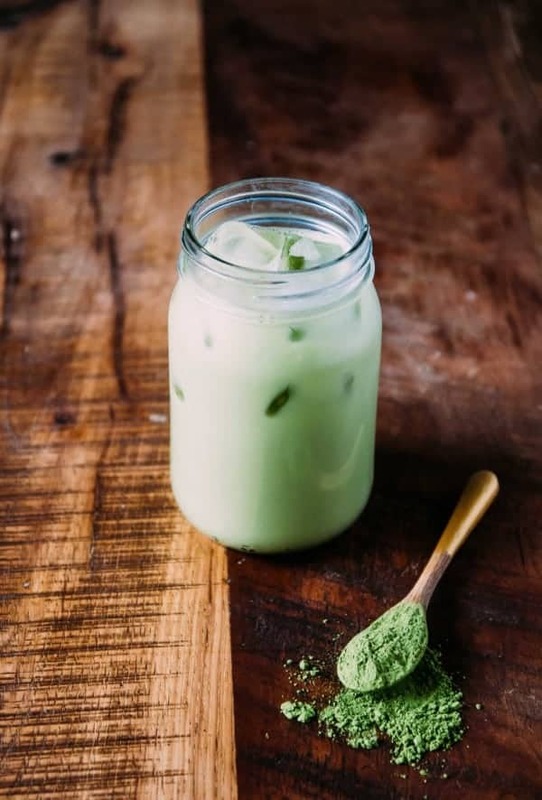 I’m too old to stay up super late anymore) and the overall rain that had me feeling just blah, I’m happy to be back on the blog today sharing my favorite iced almond milk matcha latte recipe. I’ve been intending to share a matcha latte recipe for some time, since it’s one of those recipes that I make so frequently that I don’t really give another thought to it. During the winter months, I prefer a warm version, poured piping hot into a mug, but when I was making this recipe on Sunday I wanted to go for a lighter, iced version for the spring weather coming up. If you’ve never had matcha before, you’re not alone! 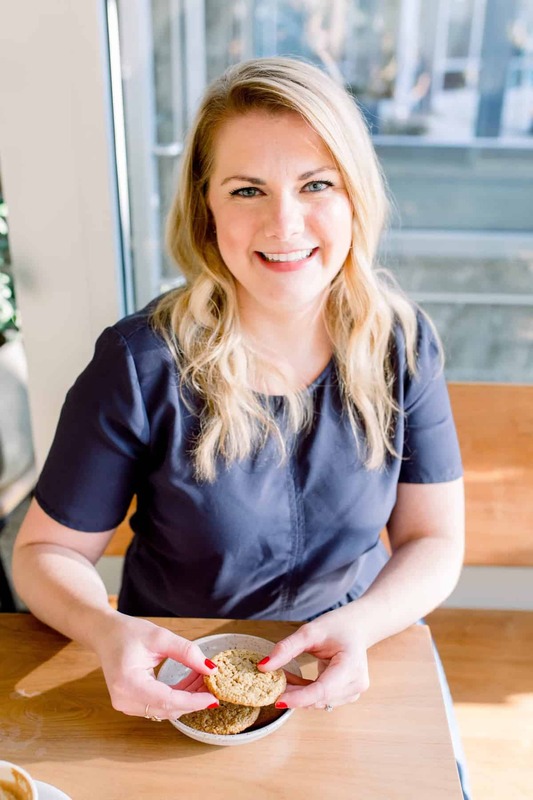 It’s blown up in the US over the last few years, but I know plenty of people who have yet to take the plunge and actually make matcha themselves. In essence, matcha is a special type of green tea that’s been grown without direct sunlight. 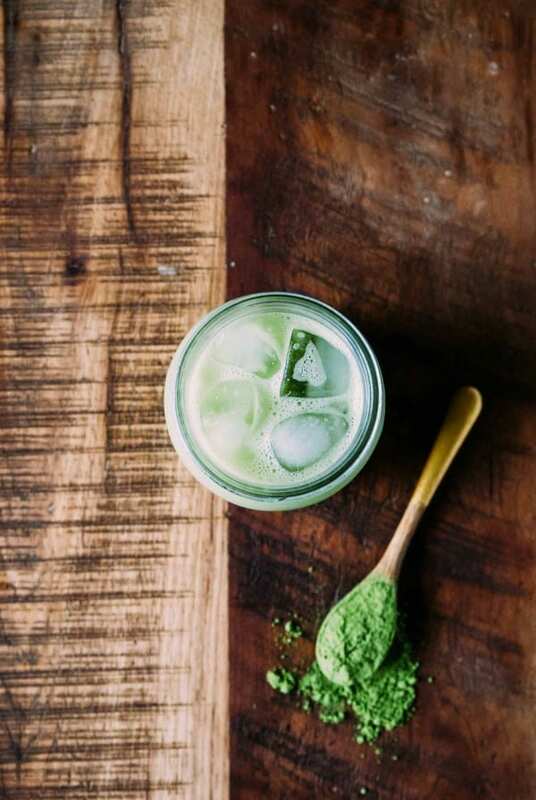 Because it’s grown out of the sun, matcha is rich in chlorophyll, which is what makes it such a vibrant shade of green (that’s right, there’s no artificial coloring in it!). What makes matcha so unique compared to other teas is that the powder is dissolved in water, rather than steeped. This means you’re getting in lots of extra vitamins and antioxidants you wouldn’t otherwise consume. Matcha is also highly caffeinated, but it supposedly gives you a calmer burst of energy. Personally, I can’t speak to how true that is, but I do really enjoy the taste of it! 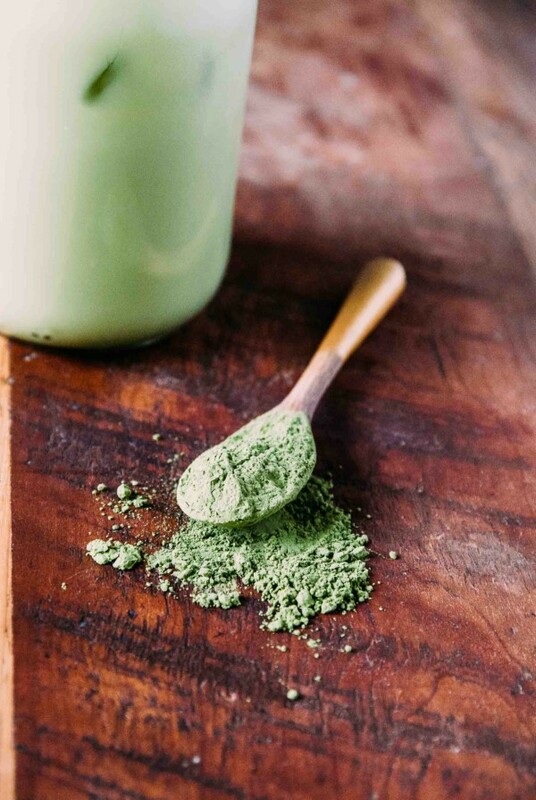 Because matcha comes in powder form, it can be used so many different ways. I’ve seen it in blondies, cakes, cookies, icings, drinks, and even mixed into oatmeal. I think one of the biggest hurdles I’ve had to get over becoming a matcha lover is the taste (it can be ‘grassy’ if there isn’t enough sweetener) and blending the matcha properly. Too many times I’ve tried to make a vegan matcha latte and ended up with a mug full of green clumps and undissolved agave, making for a chunky and not super enjoyable morning drink. My trick? The blender! Whizzing everything together in the blender until it’s all smooth and creamy and then pouring it over ice makes for a perfect, quick almond milk matcha matte, complete with the foam on top. I will also say that the quality of the matcha powder you use makes a big difference, so don’t totally skimp out on the ingredients here. I would go for a mid range matcha that isn’t the cheapest, but you also don’t need to break the bank for matcha either. I’ve found that a small bag lasts just about forever, with me only being on my second bag and I’ve baked with it multiple times in the last year. Happy Tuesday, friends! I’m powering through the week to get to a fun trip this weekend and crossing my fingers that the spring weather makes a reappearance here in the Midwest soon. I’m kind of over wearing my winter coat and fearing the threat of snow every day. Cheers! In a blender, combine all of the ingredients and blend until frothy and combined. I’m one of those weirdos who loves the grassy taste of unsweetened matcha, but I also love it sweetened (and in any form really). Delicious! I’m getting more and more into it! Loving this iced matcha! I love the blender idea, and you just reminded me I should be matcha-ing more often!